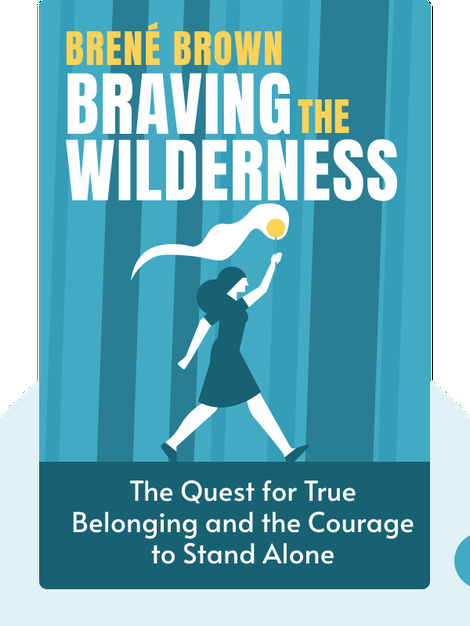 Braving The Wilderness (2017) challenges common notions about what it means to belong. It links feelings of unbelonging to feelings of anger and unrest, both in the United States and abroad. 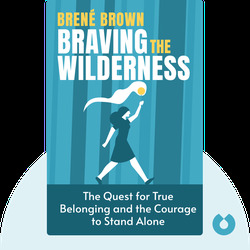 Brené Brown uses a potent combination of scientific research and storytelling to reveal what it means to truly belong. This includes remarkable tales of pain and suffering that show just how far people are willing to go to gain a sense of belonging. Brené Brown is a research professor at the University of Houston and she’s spent over 15 years studying a range of feelings, such as vulnerability, courage, empathy and shame. Her TED talk, The Power of Vulnerability, has received over 30 million views worldwide and she’s written four best-selling books, including Rising Strong and Daring Greatly.